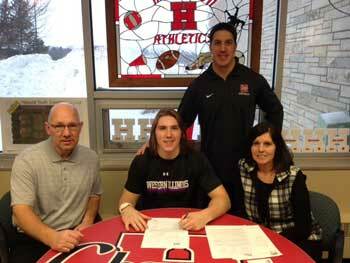 Patterson signs with Western Illinois - Hamilton School District. Hamilton High School senior Drew Patterson recently signed a letter of intent to attend Western Illinois on a football scholarship. Patterson, from Sussex, earned letters in football three years, basketball three years and track four years.